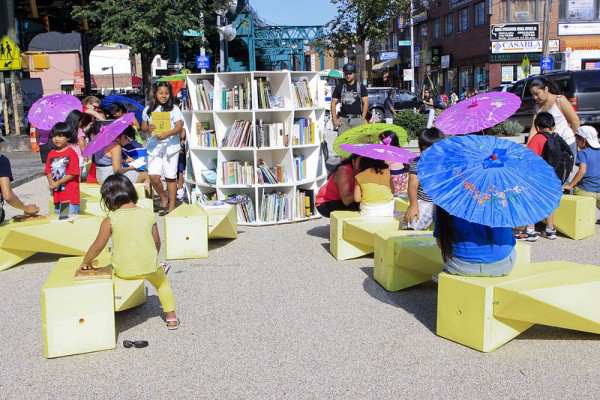 Corona Plaza is a recently renovated public space in the heart of Corona, Queens. 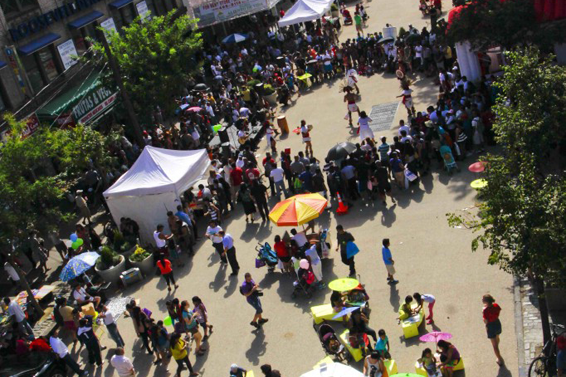 The plaza has been the central site for many of the Museum’s public art projects and community festivals, as well as the core of the Museum’s recent parks and public space advocacy work. For years, the once-grand Plaza was just a small one-block street riddled with parking and trash collection problems. As early as 2005, the Queens Museum began hosting public events on the site by applying for one-day permits to close the street to traffic. Museum efforts generated a network of local business owners and community leaders who regularly partnered on health initiatives, street fairs, and beautification efforts. In Summer 2012, after years of community pressure, the street was de-mapped and turned into a public plaza under the DOT’s Plaza Program. 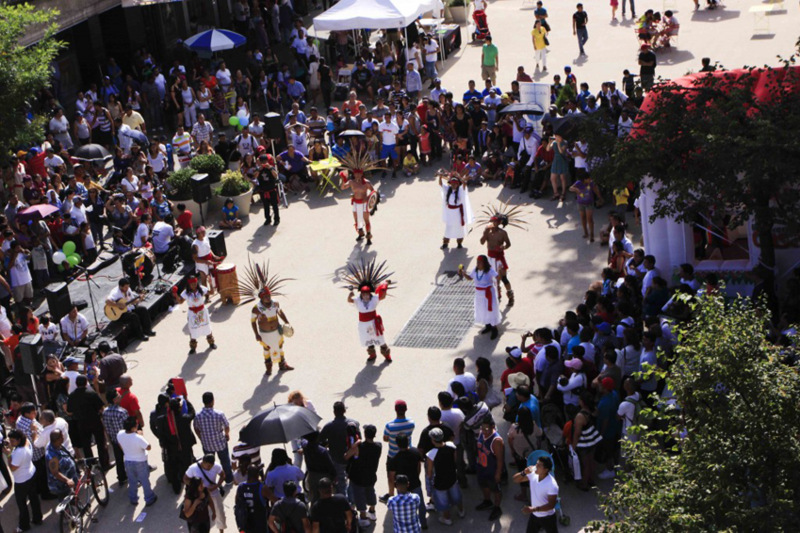 With this milestone achieved, the Museum has redoubled its efforts and has begun an ambitious suite of public programs in the Plaza in partnership with local cultural groups and folkloric performers, as well as artists and social practitioners interested in the site’s potential as a participatory planning platform. 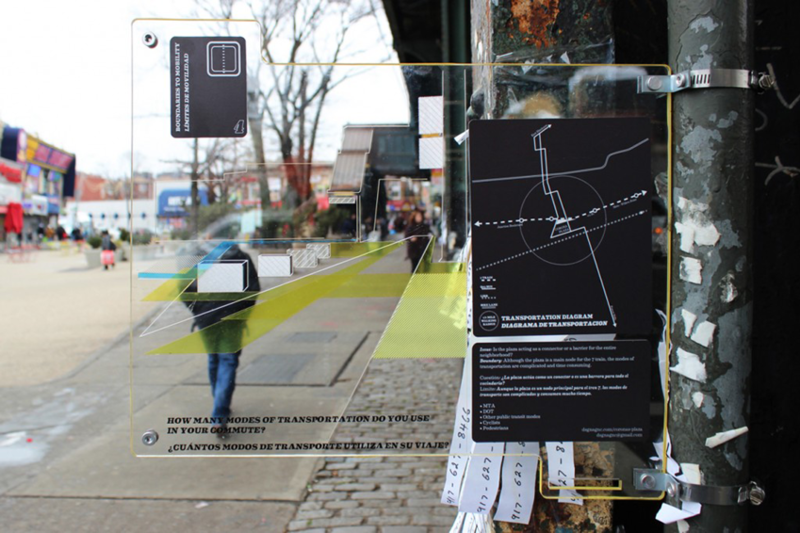 Throughout 2013, the Museum and its partners worked to engage local stakeholders to develop a set of priorities for the redesign of the Plaza, which the DOT is undertaking as early as 2015. 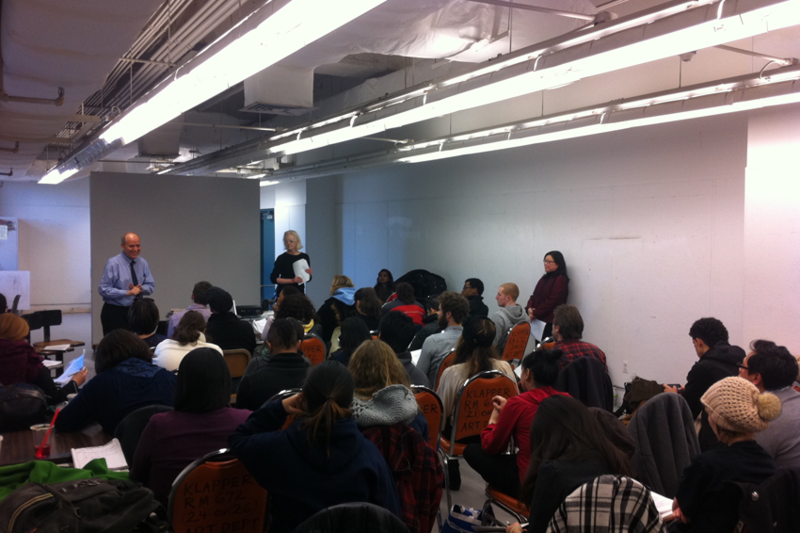 This effort has dovetailed with the ongoing initiative, led by the museum’s Corona Plaza Programs Coordinator, to train local groups on the technical aspects of producing their own public programs in the Plaza, as well as with the beginnings of an effort to establish a civic committee responsible for taking over leadership of the Plaza’s programming. 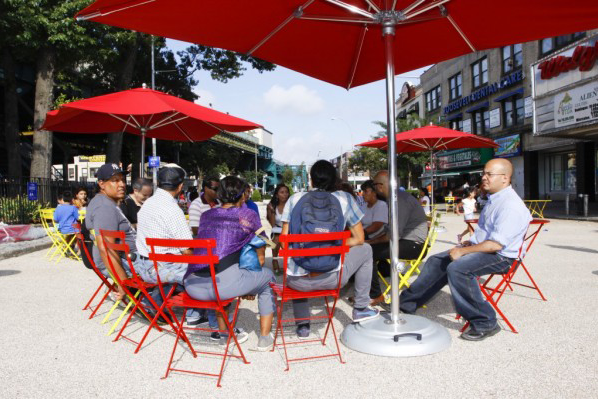 Corona Plaza programming is supported by grants from The Kresge Foundation, Surdna Foundation, and Institute of Museum and Library Services. Additional support provided by the New York City Department of Cultural Affairs and New York State Council on the Arts with the support of Governor Andrew Cuomo and the New York State Legislature.